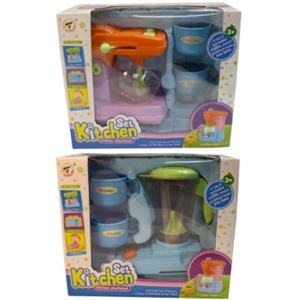 Toy kitchen appliances include either a blender or a mixer. Colors: Blue, orange, green. Not recommended for children under 3 years of age.